Nothing is mentioned in this section about the use of spades, so they are not specifically prohibited. But are they permitted? 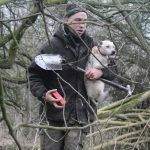 Looking again at the criteria for this exemption, it would suggest that the wild mammal must be flushed out from below ground by a dog, not dug out with spades. Digging-out does not come under the definition of ‘flushing’ or ‘stalking’. 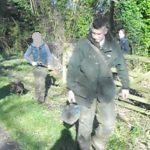 “The three were arrested and when questioned claimed they had written permission to do what they were doing but did not have it with them at the time. Looking at the criteria above for hunting to be legal in this situation, yes, written permission would be necessary. However, the list of criteria clearly states that the wild mammal must be shot as soon as possible having been flushed from below ground. 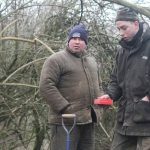 If your intention was to legally shoot a troublesome fox, surely you would have a competent person with you with a gun? 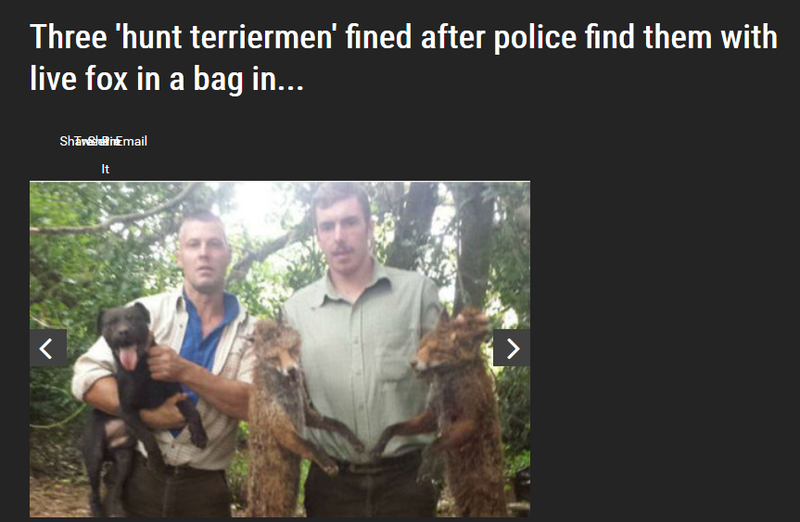 Nowhere in the criteria above does it imply that ‘putting the wild mammal in a bag’ is permitted. OK, it doesn’t specifically state that it is prohbited, but it clearly states that the criteria listed must be satisfied and that list includes shooting the animal dead asap. Surely being shot “as soon as possible” by a “competent person” is put in there to ensure that the animal’s suffering is not drawn out? And isn’t putting it in a bag doing the opposite…?